001. On Monday last week (has it really only been a week?!) we went to Daniel's pre-school party to celebrate the end of the year. 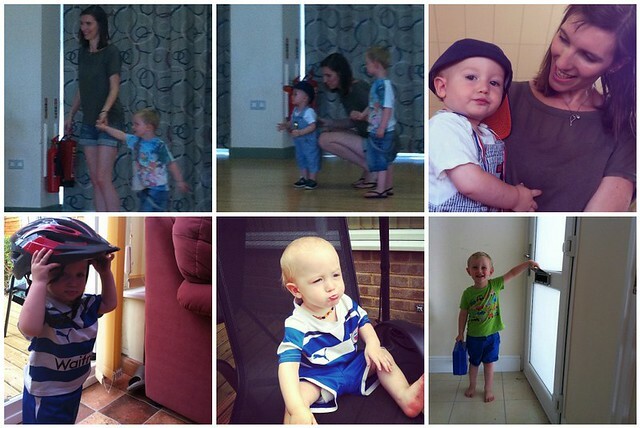 Daniel, and most of his friends, will be moving on to nursery in September, I can't believe it! Mental note, stage his "last day of pre-school" pictures next week! They put on an entertainer, who sand songs and danced around, they had a little picnic & did some painting. 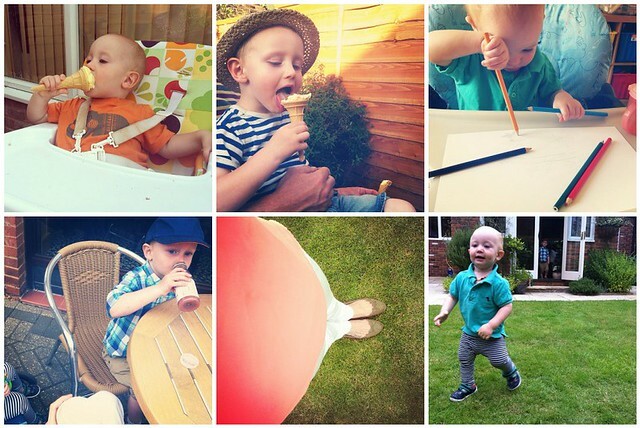 I couldn't believe the change in my little boy from six months ago. At his Christmas party he refused to join in, and insisted Nanny or I was stood with him the whole time. This time he ran off almost immediately to play with his friends, joined in with all the songs and the actions, and even did some painting! I was so, so proud of him! My best friend came with us as an extra pair of hands, and she snapped those first pictures of the boys and I dancing, she's such a sweetheart! 002. Tuesday was my last day at work & our end of term party, so I was feeling a little worse for wear on Wednesday! Such a wonderful night, though I had to say goodbye to two of my teachers, so I was an emotional wreck! I could blame a lack of sleep but I think I'm just a girl. I was a fountain Thursday too, with Daniel misbehaving, Joshua being poorly (we think he has asthma, poor baby!) & my Nana being taken into hospital. She had a stroke Wednesday night, and is still there now, hopefully being assessed tomorrow. Prayers & thoughts for this amazing lady, as always, would be incredibly appreciated. I've been a total Moaning Myrtle this week but I'm determined not to let things get me down (along with everything above, Daniel's been having nightmares about monsters in his room, and our fridge broke!) Think Positive! 003. I have been planning lots of things to keep us busy this summer, obviously Joshua joins in too but they're mostly for Daniel's benefit. Joshua can entertain himself so easily, for him I just grab a bunch of hats or shoes, put them on the floor and he's happy for ages, putting them on and taking them off. It does make me laugh how easily amused he is! 004. 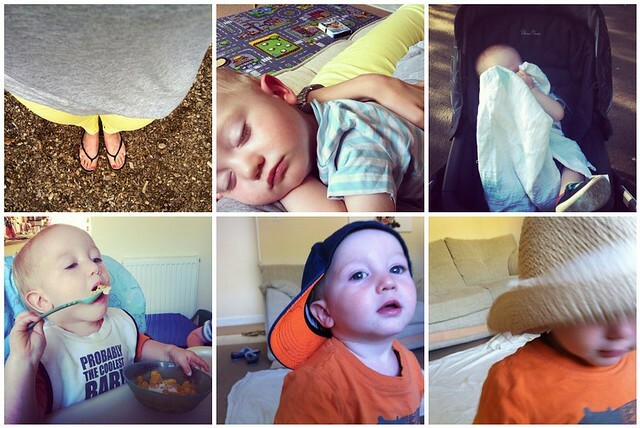 When did your little ones transition to one nap a day? I can't remember with Daniel, but Joshua's 13 months and has been getting up at the crack of dawn for the last couple of weeks and I think it's slowly killing me. Daniel's quite an early riser but he plays happily in his room, Joshua demands to be entertained or, at the very least, for my eyes to be open! We've been watching way too many morning shows for my liking because I can barely function at 6am! He often naps twice because he gets really tired and cranky in the mornings, but if we push past it he gets over it pretty quickly, so I'm attempting to phase it out in the hopes of a little lie-in in the mornings! 005. I've just found out our local sports centre runs a ton of activities and sessions through the summer holidays, like football, swimming, trampolining, all for Daniel's age, so I think we'll check a few of those out! 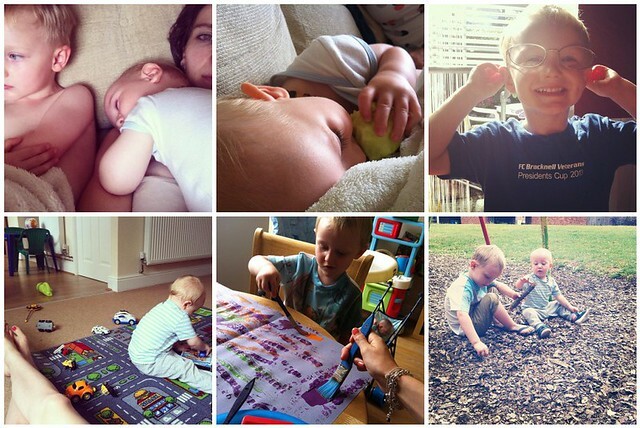 This week we have a playdate, a couple of "fun days" at a local park, and a dinosaur theme! Fingers crossed for better weather than the storms we have forecasted! Oh gosh! 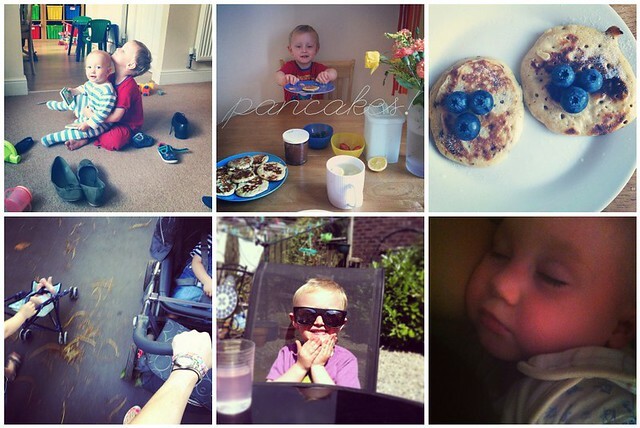 It sounds like you've had a tough week :( Some lovely photos though - those pancakes look amazing!! Busy week! And being tired doesn't help with anything, gorgeous snaps!